Here are some things our friends have to say about us! ﻿﻿﻿﻿Hi! I am Caren Griggs. In 2009, I retired from La Plata Nursing Home as an R.N. Little did I know that a few years later, in 2016, I would return as a resident. In January I became very ill and had to spend 3 weeks in the hospital. At the end of that time, doctors and family decided I needed some time in rehab. I heard that La Plata Nursing Home had a new therapy room and their therapy group was PPS. So I decided to try them out. 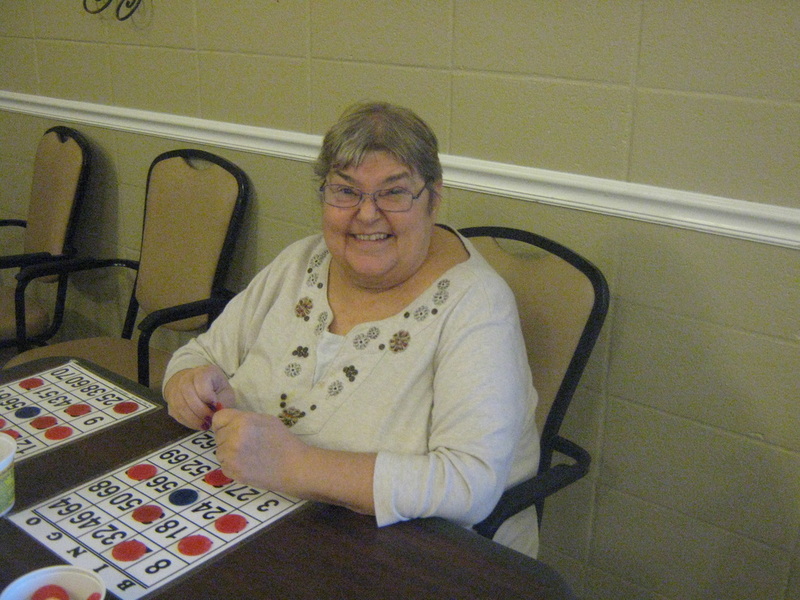 The Nursing Home has had a good standing in the community, and the homelike atmosphere made it easy to fit in. The first day there I had therapy evaluations and therapy began. The Physical Therapy and Occupational Therapy staff introduced themselves and I immediately knew they were great. All I heard from them was encouragement. "You can do it!" "We have time to rest, as much as you need." They were just great and before long I was doing things I had not done in years. I got to cook for the staff as part of OT! When I got to the home, I had decided I was going to be involved in all I could. The activities were great. The Activity Director saw to it that everyone could be involved if they wanted to. There was music, movies, guest speakers, jewelry making, Bingo! and much more. Every day until bed time there was something to do. The nursing staff was always there to help when needed. They treated me like part of the family. always seeing to my needs to help me reach my goals to gain strength and return home. The Housekeeping and Dietary Staff were also a great part of making me feel welcome. They were always willing to do those little things that we take for granted. And, OH! the food!! I feel everyone worked hard to see me get to the point of getting back home. Today I am stronger physically and mentally than when I entered the Nursing Home. I am excited to know I am able to go home doing things I thought I would never get to do, that I had done in the past. There are just no words to express my gratitude for all everyone has done. If you need therapy, PPS and La Plata Nursing Home are just the right group to get you to your best. My name is Eva Ross. I have worked at La Plata Nursing Home for 27 years. I started as a Certified Nurse Assistant and then went to school to become a Licensed Practical Nurse. After completing school, I became the Director of Nursing. When the rules changed, I went back to being a Charge Nurse. I have always worked at La Plata Nursing Home and have seen many regulation, staff and building changes. When I began to have medical problems, I chose La Plata Nursing Home because I knew I would get good care here. Therapy was one of the most important things to me because I plan to return home. I am treated with respect here and I am close to home. I like the sense of community or home-town feel here at La Plata Nursing Home. I have always like to see the differences between all the residents, including myself now!